Seymour Hersh interview: On his Bin Laden story, the New Yorker, journalism, and his own bad mood. 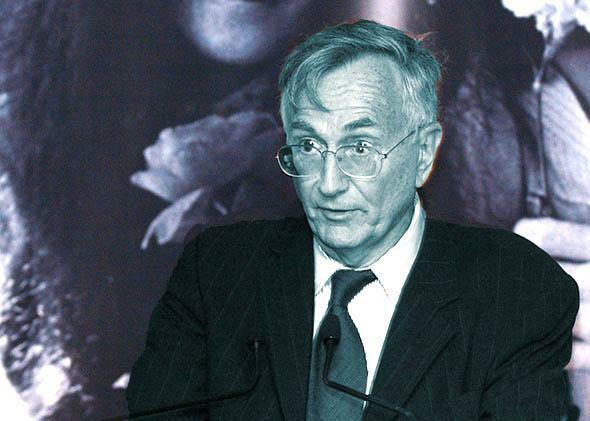 An interview with Seymour Hersh. Pulitzer Prize–winning journalist Seymour Hersh accepts the Lennon-Ono Grant for Peace at the Second Biennial Awards at the United Nations on Oct. 7, 2004, in New York. In a blockbuster 10,000-word story for the London Review of Books this week, longtime New Yorker investigative journalist Seymour Hersh called into question the official account of the American raid that killed Osama Bin Laden, and argued that what is arguably seen as the apex of Barack Obama’s presidency is actually built on a lie. Hersh’s piece claims that Bin Laden was being held prisoner by the Pakistani military and intelligence service (the ISI), who were using him as a means to control Taliban and al-Qaida elements, and hoping to use him as leverage in their relationship with the United States. According to Hersh, who relied largely on an anonymous intelligence source, the Obama administration found out that Pakistan had Bin Laden, and eventually convinced Pakistani military leaders to allow a raid on the compound where Bin Laden was being held. The plan, Hersh writes, was to say publicly that Bin Laden was killed not in the raid but in a drone strike. The White House, however, supposedly broke this deal because of the political value of making the details of the raid public. Hersh’s story has been much debated over the past several days, with many calling it into question and (a comparable few) others applauding its willingness to undercut the official narrative. NBC News and the AFP have both backed up small elements of Hersh’s story, although both outlets have also called other elements of his piece into question (and NBC later backed away from its original reporting). And no news source has supported Hersh’s largest claim—that the president lied about the raid.